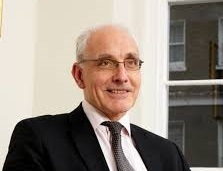 Nicholas Stewart, QC, is a barrister and Deputy High Court Judge (Chancery and Queen’s Bench Divisions) in the United Kingdom. He is the former Chair of the Bar Human Rights Committee of England and Wales and former President of the Union Internationale des Avocats. He has appeared at all court levels in England and Wales, before the Privy Council on appeals from Malaysia, Singapore, Hong Kong and the Bahamas, and in the High Court of the Republic of Singapore and the European Court of Human Rights. Stewart has also been the chair of the Dialogue Advisory Group since its founding in 2008.